Glacial Experience is a small, family-run business obsessed with customer satisfaction. By creating tailor-made tours for each individual group, we aim to create an unforgettable personal experience for travellers from beginning to end of their trip. 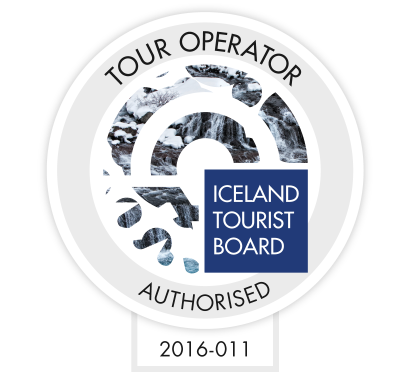 Our tours are also designed to support the local communities around Iceland wherever possible, by making sure we pay our staff fairly and by guiding customers towards a positive and responsible travel ethic. We aim to promote the smaller, local businesses in each community in order to provide the highest possible economic impact to that area. Where possible, we try to use companies that are owned and operated by young people who have returned to their rural hometowns after studying away for several years. We minimise paper use at our office wherever possible. Single-use plastic water bottles are not sold on our tours – we provide our customers with reusable bottles to reduce plastic waste. Delicate Icelandic plant life is easily damaged by irresponsible tourism, and can take decades to recover. We advise our customers on how to minimise their environmental impact, so that they leave the environment as healthy and beautiful as they find it. We make every effort to ensure that waste is never left behind on any of our trips. Glacial Experience aims to reduce fuel consumption where possible, and many cars that we use in our fleet are chosen for their fuel efficiency. However, this is balanced carefully against safety guidelines. Some travel around Iceland requires a little more caution and for this we do use larger, more capable cars. We work closely with our customers in order to create their personal itineraries. This allows us to advise them on the best times of year to visit areas, reducing tourism strain. We respect the local culture and always aim to be a part of it.